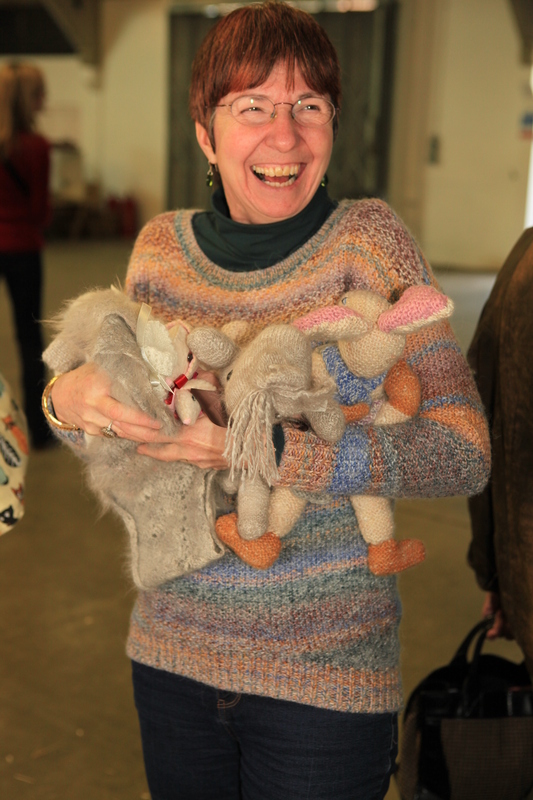 Mrs Chris Hamilton General Secretary for the National Angora Club and to introduce her, here is a short profile about how it all began with angoras. I started keeping rabbits while in junior school but met my first angora at a garden centre pet shop and became his owner in 1986. That was not a safe start for any angora to be sold at a pet shop to a person with no experience, who was not given any advice on how to care for his coat. Thank goodness I knew about rabbit care and so just needed the grooming and clipping lessons. 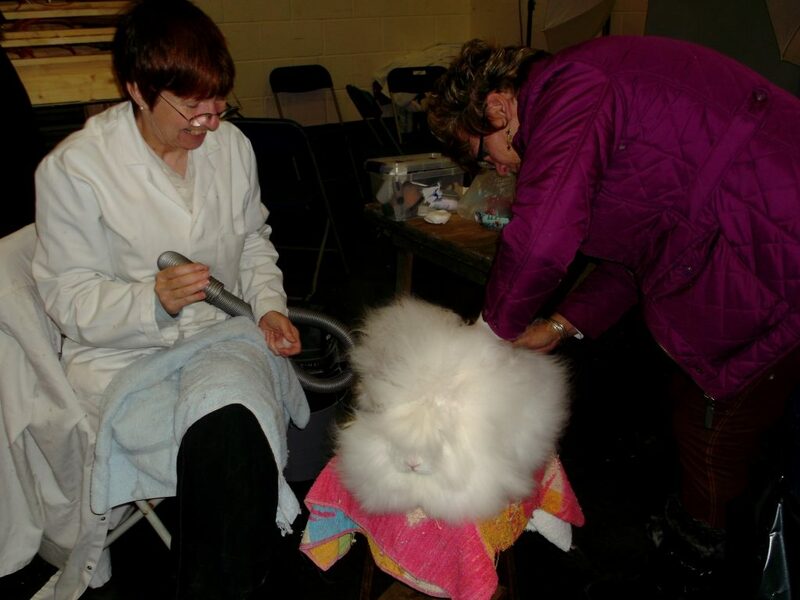 I traced his breeder and was taught how to care for him and then went along to shows to learn from other experienced angora people including Sandra Orr and Barbara Pratley. The rest of my original stock came from both of these ladies, Bourne Stud half of which was Sally May and also the Mistywood Stud of Judy Connolly. I showed angoras, often between 5 and 13 at a time for over 25 years and won many best in shows at local shows and stock shows as well as making up BRC and NAC champions. I learnt from other members Elaine Bennet the spinning and Joan Ward the felting and attended workshops at Woolfest for various products skills. 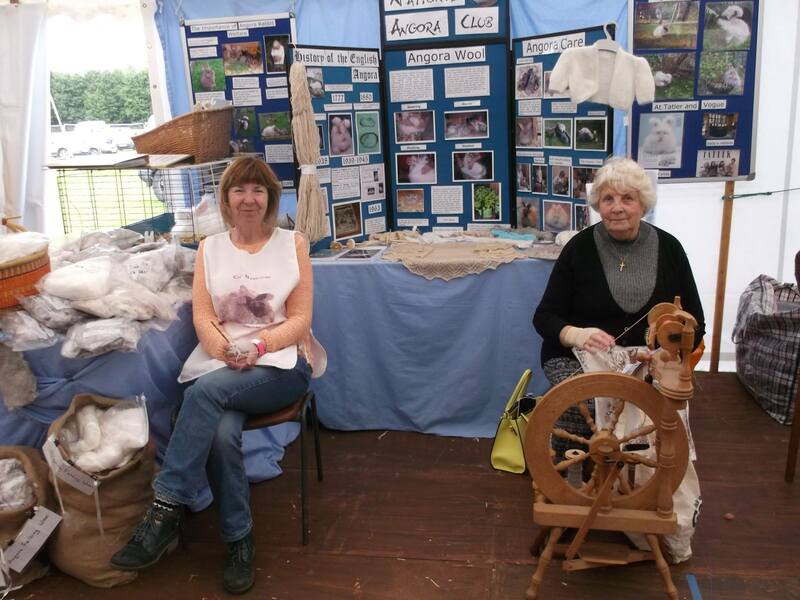 I have enjoyed being a club member for the social side and the education the various members have given freely of their time and skills. 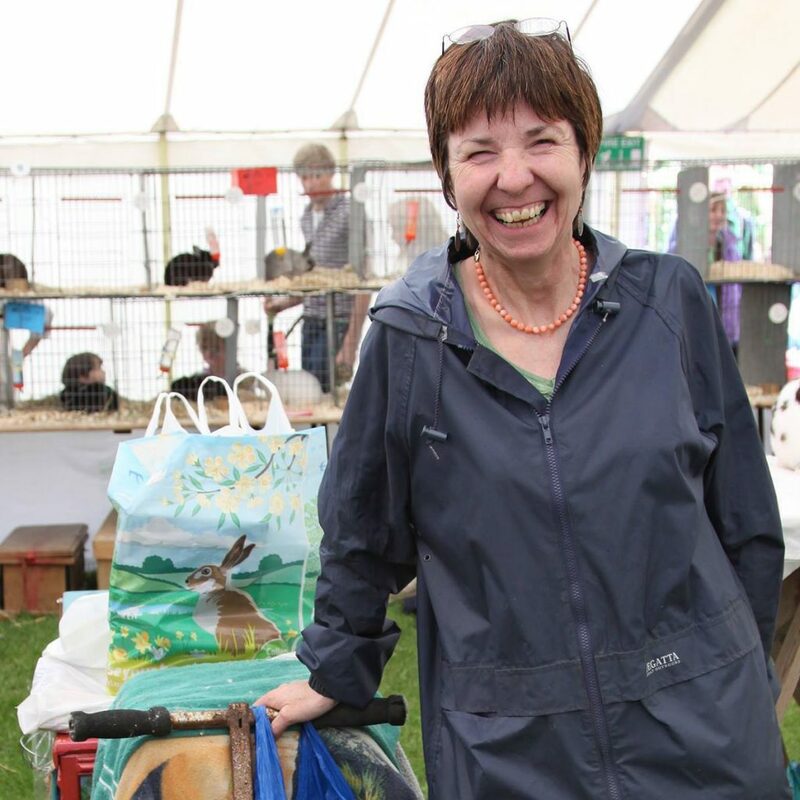 I have enjoyed giving something back by teaching newer members and working for the club as secretary/treasurer and stand co-ordinator in the past. I am very happy to continue to to help new fanciers. More recent stock has come from Richard and Simon, Sue Fisher, Alan Cargo, Lesley Horden and of course Yvonne Hobbs. I have taken a back step in recent years due to other commitments but still keep and enjoy my stud of angoras and my lovely friends from the club. I still help man the angora club stand too. I hope to meet many new members. Posted 14/12/2017 by SM & filed under Members.